Having trouble managing your work orders? Facilities teams are seeing breakthroughs in the work order management space. Don’t miss your opportunity to streamline your operations. This article will cover 5 Tips to Streamline Work Order Management. Before we get started, let’s take a look at who this effects and how they’re affected. Every public and private sector organization manages work orders to some degree in their day-to-day business. The operational success of your facilities and equipment depends on it, but poor work order management can hurt your customers and your business. Traditional workers require direct management by supervisors, however recent technologies take out the red tape for more streamlined processes. Automation, outsourcing, and scheduling tools direct work orders to your facilities’ teams immediately. Traditional facilities teams revolve around a centralized location to receive orders. Now, facilities managers are integrating mobile solutions with their systems. The opportunities for more cost-effective methods are within your reach. Why is Work Order Management Important to My Organization? Warehouses, property managers, and others face regular maintenance challenges. Work order management impacts your customer satisfaction as well as your bottom line. In today’s digital world, your service quality is more transparent than ever. Poor customer experiences can go public. Delays and misunderstandings can cost you, especially if caused by an inherent flaw. Technology empowers your team to improve the flow of facilities maintenance and still allows you to provide personalization and self-service for your customers as well. There are no limits to your team completing jobs both quickly and effectively. In 2016, 51% of manufacturers used computerized maintenance management systems. But many of those companies still use manual software. You can gain a competitive edge with the right technologies for your processes. You may have the best-trained team in the business, but they will still fall short if they don’t have the best equipment. Put your maintenance headaches behind you. The following maintenance solutions will help you streamline the work order management process. You’ll see the results in the satisfaction of your customers and in your bottom line. Consider how much time your team spends making trips to data input locations. How far away is your warehouse computer from the service site? If your team is taking handwritten notes, you’re not giving them the tools they need. Mobile technologies help your team manage tasks without backtracking or making calls. Mobile-integrated cloud technologies improve communication and collaboration. Your team can share valuable information and data this way. Your team can share schedules and plan meetings through the cloud. Easily assign several workers to a job as well. Centralize communications with a particular job record for easy access from anywhere. This saves your team trips back to central locations. Field workers can read job queues and move to locations without losing visibility. They can send back images and mark jobs as completed as well. The biggest impact on your bottom line comes from decentralizing management. Before, managers spent hours a day routing and processing information manually. Now your management teams can focus on proactive initiatives instead of processes. Equipment and facilities aren’t the only factors in your team’s everyday work. They have frequent interactions with your customers as well, and 67% of field service companies rank customer service as a top priority. You may already use a CRM solution for your business. Many work order management solutions give you the ability to integrate that system with your CRM software. This gives service teams access to additional critical customer insight with customer contact information & work order history. In 2018, personalization is essential at every customer touch-point. The more your team knows about customers, the better they will represent your business. Even when customers’ equipment fails, you can turn those interactions into a win for your company. Companies tend to place all emphasis on efficiency. You’re right to measure performance based on job turnaround times, but quality outcomes should be your utmost priority. You want to remove all the guesswork that goes into a job. This means you need to empower your team with timely information on the go. An advanced quality management system provides information when teams need it most. Maintenance teams don’t have all the manuals for the work they do in a day. They won’t have intimate knowledge of all equipment failures either. This leads to a lot of guesswork among your newer employees. You can save them the uncomfortable phone call back to headquarters. Today’s quality control systems provide dozens of resources to complete any job; that includes manuals, schematics, and process instructions, among others. These tools are easy to use and they help your teams complete a job from start to finish more proficiently and accurately. With mobile access and training, they can get perfect results on every assignment. Organizations can save thousands by investing in preventative instead of reactive maintenance. Many of these tools can be quite advanced. Field service companies us Internet of Things (IoT) sensors to anticipate equipment failures. Your computers dispatches maintenance teams preventing delay of service to customers, but preventative maintenance software is more accessible than it sounds. A reasonable investment could save you thousands on repair and routing costs. Save by preparing your teams in advance of breakdowns as well. Your customers want to be proactive. They want to have the least friction possible getting their equipment working again. Self-service solutions will save them hassle and get your team on the job immediately. Self-service solutions can be placed on a website or mobile app. Your customers can put in their own tickets, saving extra work for your team. This increases efficiency for your company and your customers. When your customers don’t need to worry about repairs, it increases customer satisfaction as well. 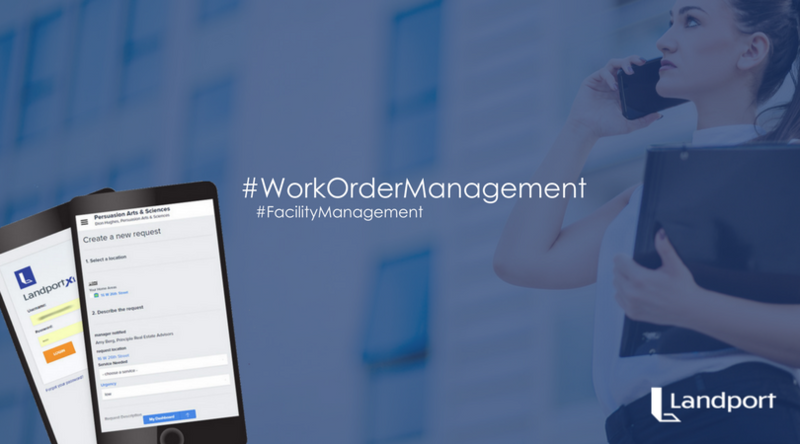 Ready to upgrade your work order management solutions? You needn’t use several vendors to get the capabilities you need. 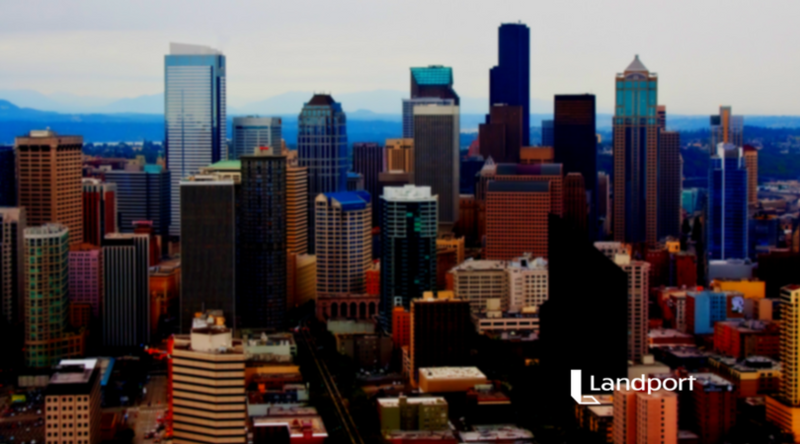 Landport Systems provides holistic tools that could help serve to improve your processes as you use them. Contact Landport now for a free demonstration of our current solutions and learn about some of our initiatives on the horizon. Our automation, communication, and efficiency tools will increase value for your business and empower your proactive facilities teams to take on the challenges of tomorrow.